A self-proclaimed military brat, Christopher moved six times before he was eight years old, which sparked his passion for real estate at a very young age. After a career as a professional ballet dancer was cut short by injury, Christopher worked his way through college in Baltimore and enjoyed a tenured career as a marketing executive before he rediscovered his childhood passion and pursued real estate professionally, which Christopher proclaims as “the most fulfilling career decision I’ve ever made”. Bringing more than 15 years of professional experience to each real estate transaction, Christopher’s proven ability to deliver specialized services to a wide variety of clientele demonstrates his “Client-Centered” approach to business, which continues to serve as his philosophy today. Christopher helps Buyers and Sellers successfully achieve their real estate goals with remarkable business acumen and astute negotiation skills. 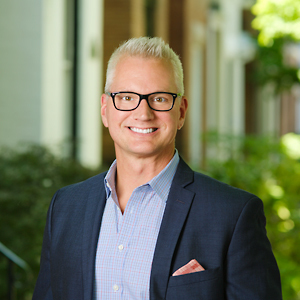 His performance helping clients navigate the intricacies of the DC metro area’s complex real estate market has earned him several Top Producer awards and more than $60 million in closed transaction volume since 2012. In 2015, after spending several years working side-by-side building successful careers as individual real estate agents, Christopher Bulka & John Peters merged their businesses and created Bulka/Peters Residential. The dynamic partnership between these two highly respected Realtors allows them to combine their superior customer service, innovative marketing techniques, skilled negotiation strategies and professional transaction management to enhance their clients’ home buying and selling experiences. When he’s not working, Christopher enjoys dining out, spending time with friends and family, and being outdoors as much as possible. He is currently the Treasurer of the Crispus Attucks Development Corporation, a 501(c)(3) non-profit community organization, which owns and operates Crispus Attucks Park in Washington, DC’s Bloomingdale neighborhood, where Christopher and his partner recently completed a top-to-bottom renovation of their circa 1900 Victorian home.